Senator Joe Manchin (D-West Virginia) has no time for single payer. But Senator Lindsey Graham is saying yes to single payer for sick people. That’s what came out of a meeting with Senator Manchin with single payer activists earlier this month in Charleston, West Virginia. Also present during the meeting, via Skype, was University of Massachusetts Economics Professor Gerald Friedman. Reached by telephone, Friedman said Graham’s proposal could easily drift into single payer. Friedman said there have been proposals over the years to cover one disease at a time. 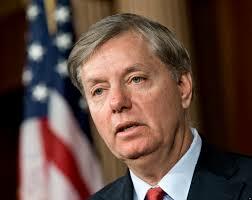 Friedman says he doubts if Graham’s proposal will get much support. But isn’t Graham’s proposal just a bailout of the private health insurance industry? Friedman said that Bernie Sanders will introduce his single payer bill within the next couple of weeks. Friedman said that he has heard that there as many as nine Senators who will co-sponsor the Sanders single payer bill.